Agriculture is a major source of nutrients into lakes, rivers, and coastal waterways. Fertilizer applied to promote crop production can be carried away from croplands through surface run-off following rainstorms and through sub-surface groundwater (i.e. leachate) and water drainage; these processes are referred to as “run-off” and “leaching”, respectively. Excess nutrients (primarily phosphorus and nitrate) in aquatic environments can lead to blooms of harmful algae that have negative impacts on wildlife and human health. For example, Lake Erie has been experiencing blooms of toxin-producing blue-green algae annually since the mid-1990s, forcing residents to rely on bottled water1. Agricultural management efforts have aimed to reduce nutrient run-off and leaching from croplands. These efforts include cover cropping, optimizing fertilizer application, and adopting different soil management practices. Cover cropping is the practice of planting a cover crop, often rye or barley, after harvest instead of leaving the soil bare (fallow) to protect against soil erosion. Practices used to optimize fertilizer application include properly timing the application of fertilizers with the nutrient needs of crops and avoiding fertilizer application prior to rainfall. One important aspect of soil management is determining whether to till or not till cropland. No-tillage management strategies have been promoted as an alternative to conventional tillage practices (e.g. rotary, chisel, disking tillage). No-tillage has been shown to decrease soil erosion and increase soil organic matter and water retention. However, there have been conflicting reports on how no-tillage practices affect nitrate run-off and leaching from agriculture compared to conventional practices. Corn, soybean, and wheat are major agricultural crops in the United States and currently occupy 90.9, 89.5, and 45.7 million acres of cropland, respectively2. Just how big is 90 million acres? For reference, the state of California is 100 million acres. While conventional tillage still occurs on the majority of croplands in the U.S., approximately 20% of farms have converted to no-tillage practices. To determine the impact of no-tillage practices on nitrate run-off and leaching from corn, soybean, and wheat farms, scientists from Indiana University-Purdue University Indianapolis recently conducted a meta-analysis (i.e. analysis of previously published scientific studies). Daryanto and colleagues compared the nitrate concentration and total load in agricultural runoff from no-tillage and conventional tillage farms and examined how soil texture (fine, medium, coarse), rainfall (dry or wet years), fertilizer type (organic or inorganic), length of no till management (short, medium, or long term), and crop type (corn, soybean, or wheat) impacted the loss of nitrate through surface run-off and sub-surface leaching. Their overall results indicate that there was no difference in the nutrient load from run-off between no-tillage and conventional tillage practices, but there was a significant increase in the loss of nitrate through leaching from farms using no-tillage. Daryanto and colleagues found that while the presence of plant residue on the soil surface in no-tillage reduced runoff, increased soil compaction over time had the opposite effect (Fig. 1). In the area immediately below the ground’s surface (sub-surface layer), no-tillage led to an increase in decomposing plant material (soil organic matter; SOM) and large soil pores that enhanced water infiltration (macropores), ultimately resulting in increased nitrate leaching compared to conventional tillage (Fig. 1). While the overall results indicated that there was no difference between no-tillage and conventional tillage in the nitrate load from run-off, the authors did find important differences based on soil type, crop species, and the length of no-till management. In well-drained soils, there was actually a reduction in the nitrate run-off load with no-tillage, likely due to better soil infiltration of surface waters. The authors also found important differences between crop species, although these were not statistically significant. In soybean fields, the nitrate concentration in leachate was lower in croplands that were not tilled, although there was no difference in leaching load between no-till and conventional till. In wheat and corn croplands, there was no significant difference in the nitrate loss between no-till and conventional till farms. Lastly, the authors reported that croplands that had not been tilled in over 10 years had a higher nitrate concentration in run-off and a lower nitrate concentration in leachate. These results are likely due to an increase in soil organic matter and water infiltration as a result of no-till. Based on these results, the authors concluded that soil compaction, drainage, and soil type were major influences on the nitrate run-off and leaching loads from agricultural croplands. While the results of this study indicate that nitrate loss from sub-surface layers is generally higher in no-tillage than conventional tillage, this does not mean that no-tillage practices do not have clear and important benefits. According to the Conservation Technology Information Center at Purdue University, no-till management reduces labor costs, soil erosion, machinery wear, and increases water penetration and therefore water availability for crops3. In order to decrease the nitrate loss from run-off and leaching in no-till croplands, Daryanto and colleagues suggest that no-till should be combined with additional conservation practices that aim to enhance the nitrogen use efficiency of crops. These practices include a reduction in synthetic fertilizer application rates, the use of slow-release nitrogen fertilizers, injection of fertilizers into soils instead of surface application, and the use of cover crops. 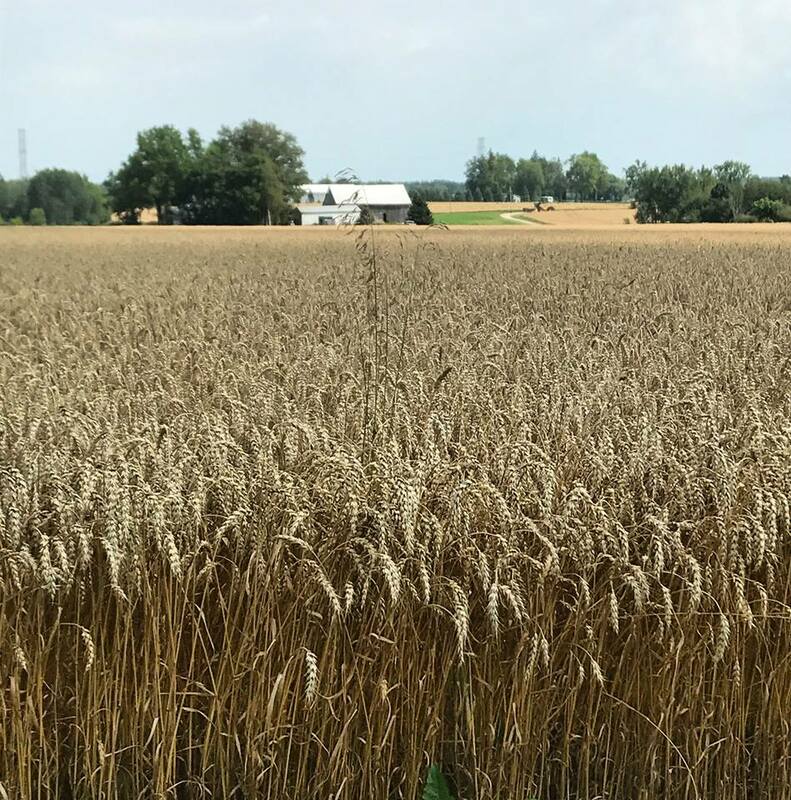 Cover crops can improve soil health, reduce soil erosion, and may lead to a decrease in the need for synthetic fertilizers since they can serve as a source of nitrogen for subsequent crops. Periodic (i.e. every 10 or more years) mixing of soils that are managed with no till can also help to decrease soil compaction and lead to greater nitrogen utilization by crops.